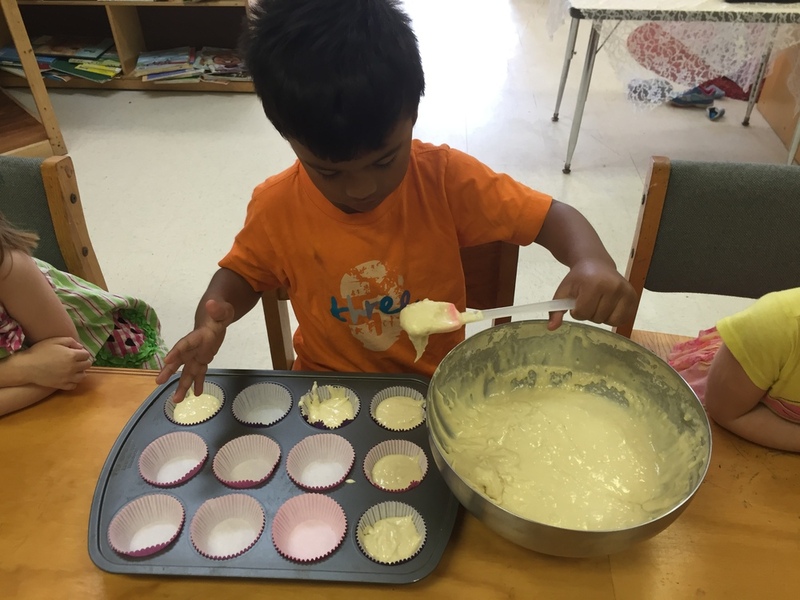 Lately, the children have taken great joy in making their own cupcakes in the play dough area. 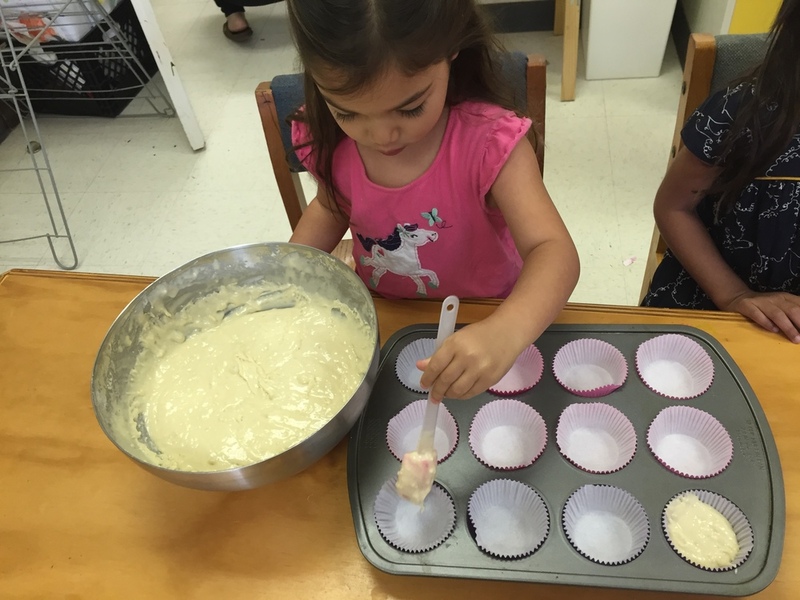 To further explore this interest, we decided to allow the children to bake real cupcakes for their Food as Language exploration. 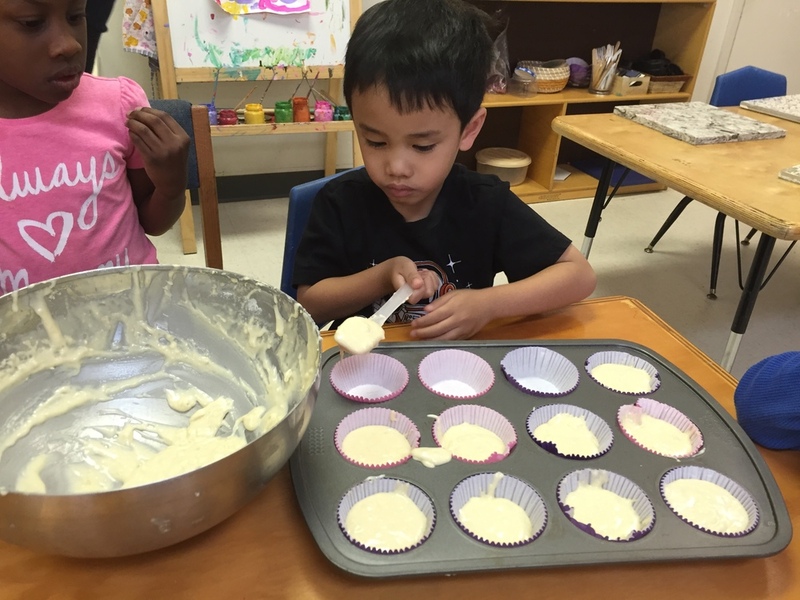 As a class we discussed all of the ingredients we would need to bake cupcakes. 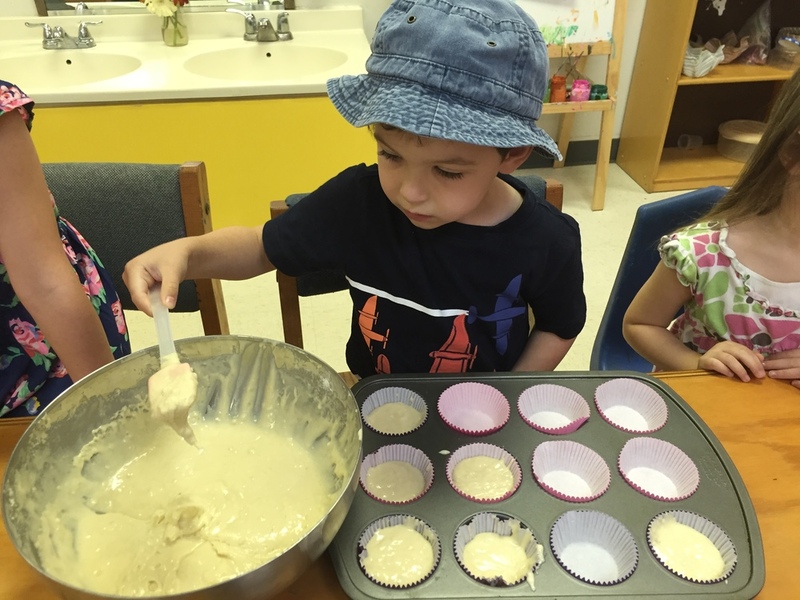 The children’s involvement in baking their play dough cupcakes prepared them for this moment and they knew exactly what was needed! 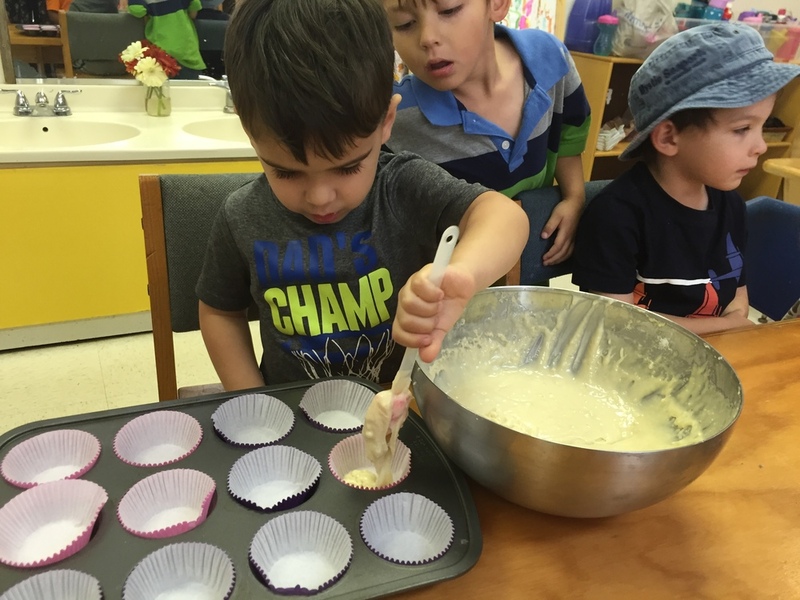 After gathering all of the necessary ingredients and utensils, we began exciting process of making our treats. 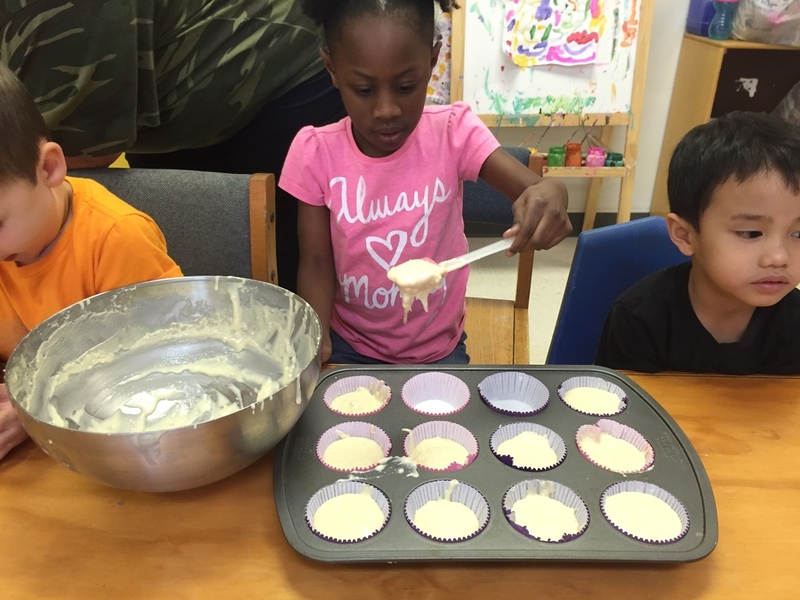 Everyone in the classroom had the opportunity to help make our cupcakes. 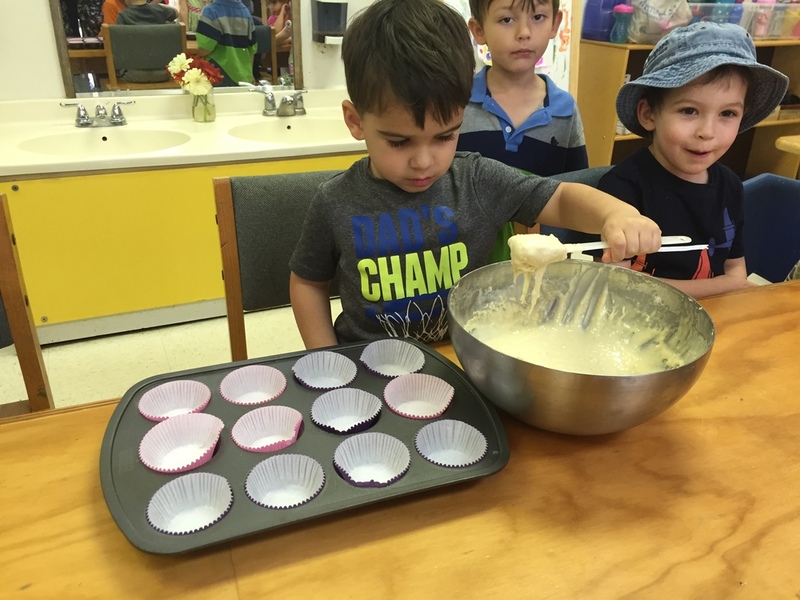 We all worked together to measure the wet and dry ingredients, stir the batter, place the cupcake liners in the pan, grease the pan and filled every liner with batter. 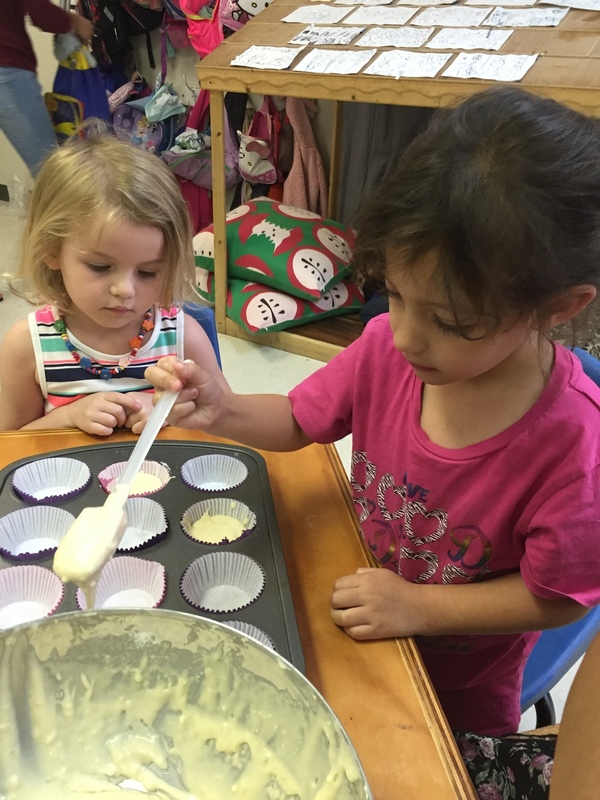 While the process required a great deal of teamwork, the children also learned the importance of taking turns. 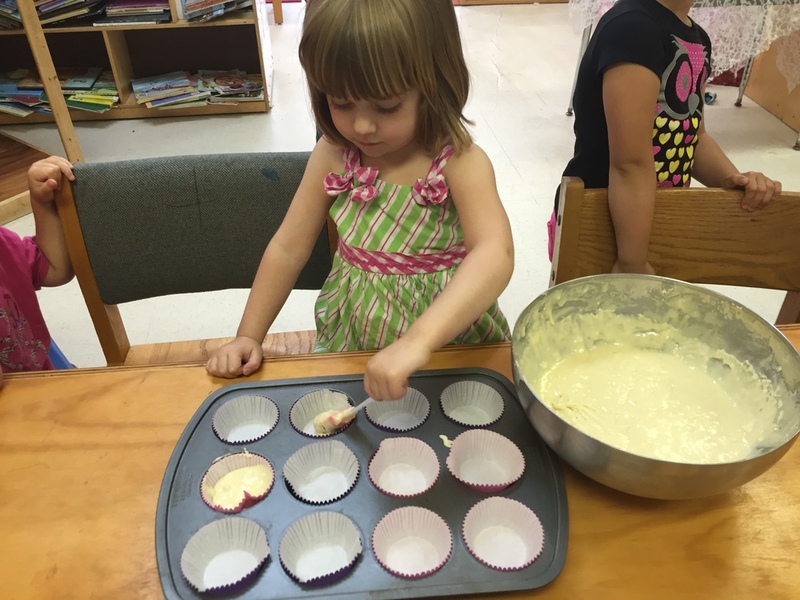 Each child had their own job to do, whether it was placing liners in the pan or pouring the batter. 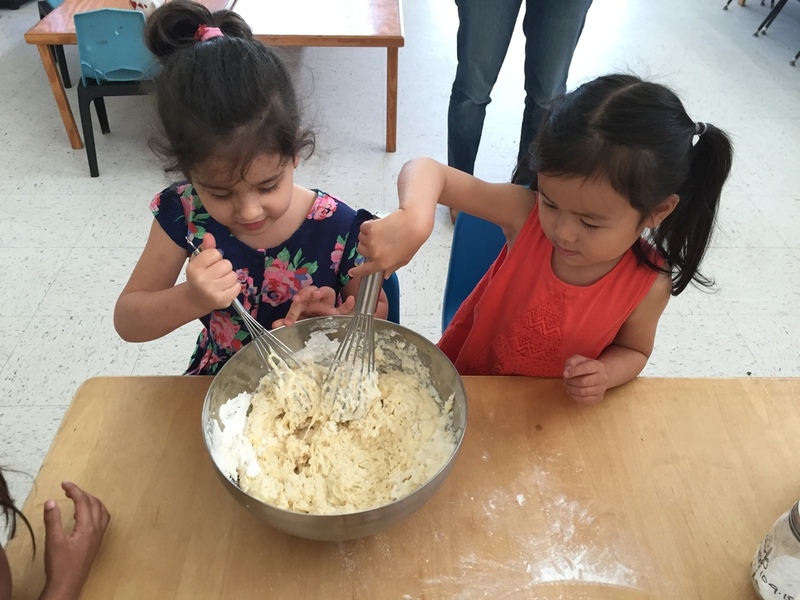 Having individual responsibilities within the group gave each child a feeling of importance and showed them that each member of a team is valuable. 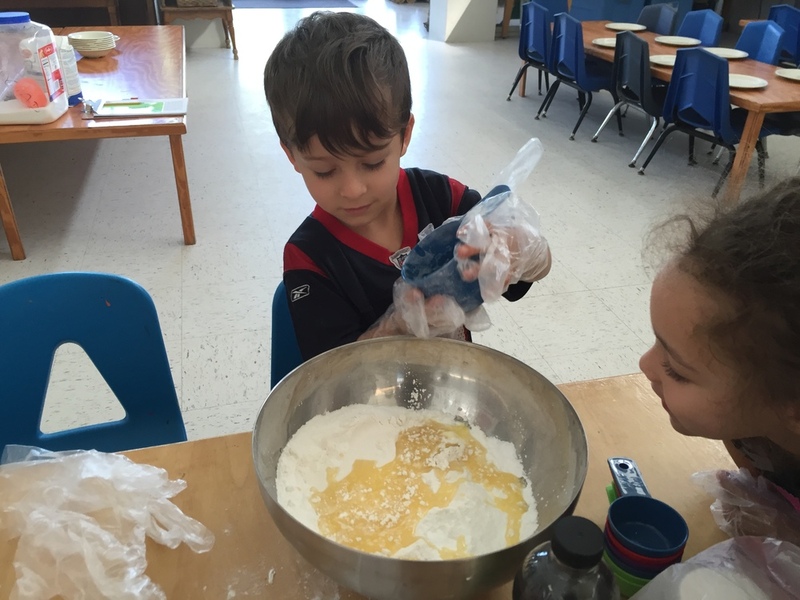 Cooking is also always a great math lesson. 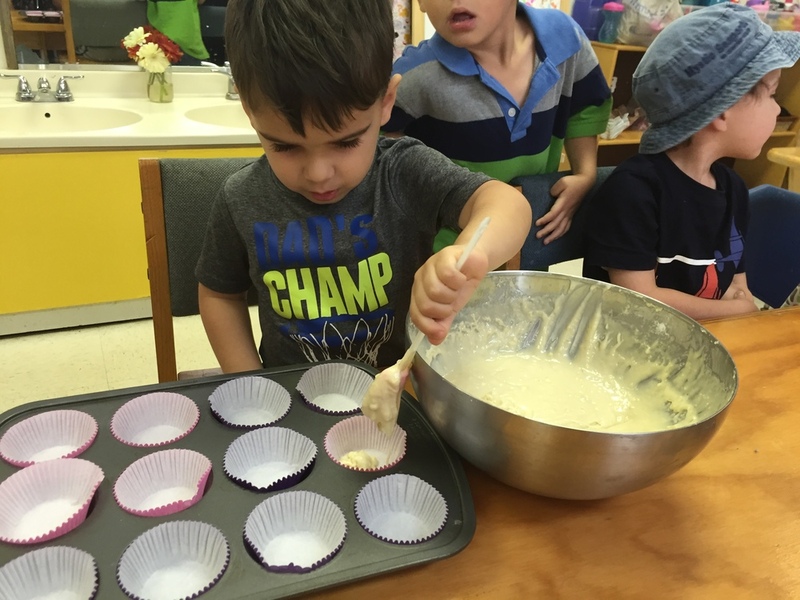 Measuring the right ingredients, counting out the amount of cupcake liners needed and having an idea of how much time the treats take to bake all build upon counting skills and an understanding of measurements and time. 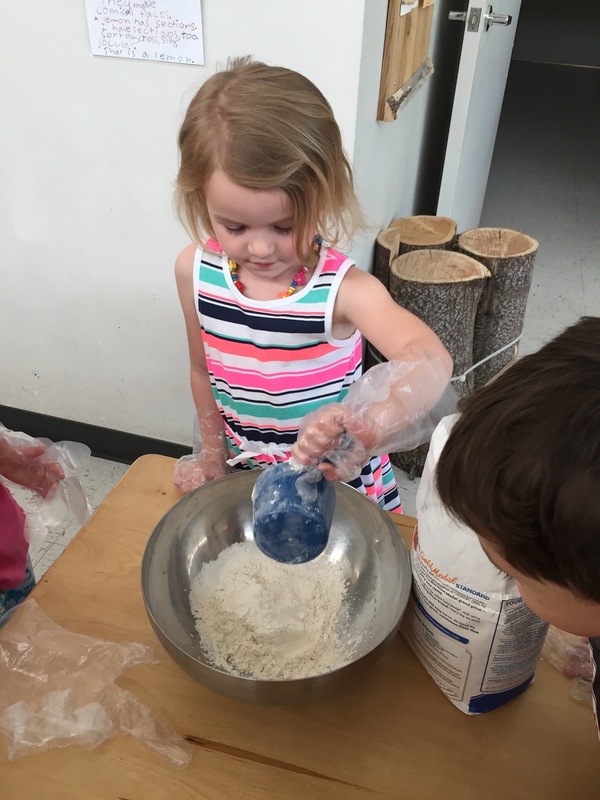 One other interesting concept to point out is the role of dramatic play in this experience. 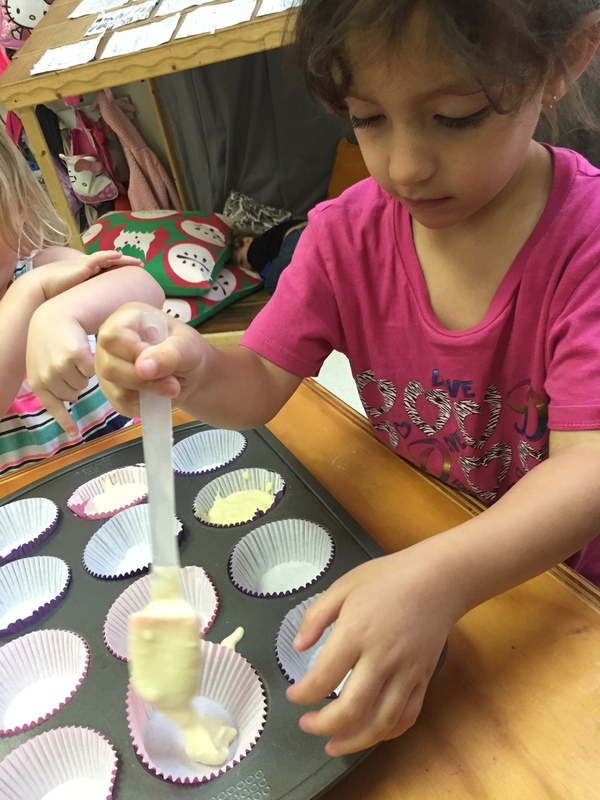 As noted above, the children had been making their own pretend cupcakes prior to making them for their Food as Language. 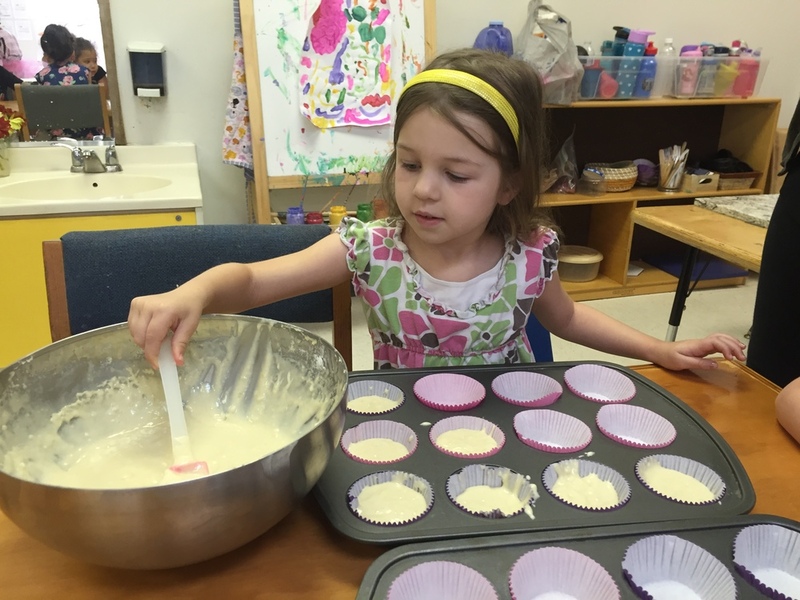 When it came time to bake the real cupcakes, the children were prepared to do so. 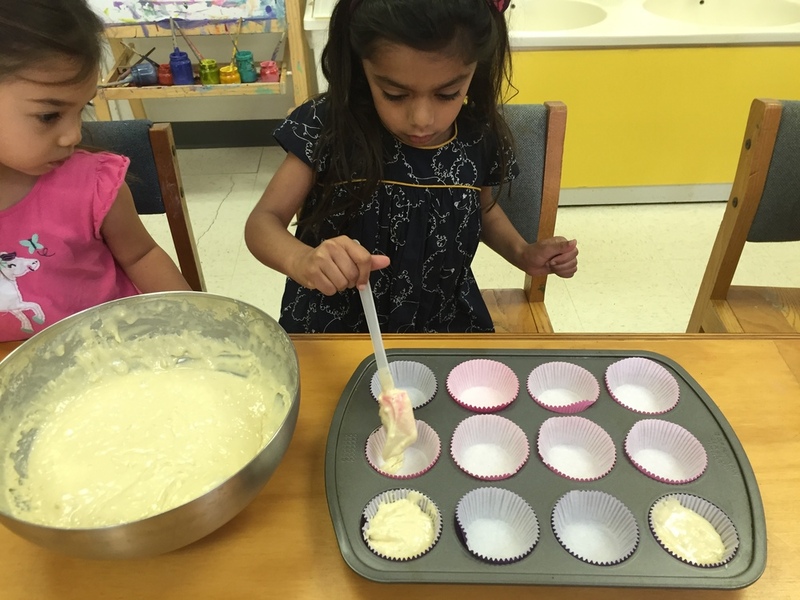 When they were working with play dough, they still discussed the ingredients that their cupcakes might require. They still practiced working together to create them, and determined who would fulfill what roles. 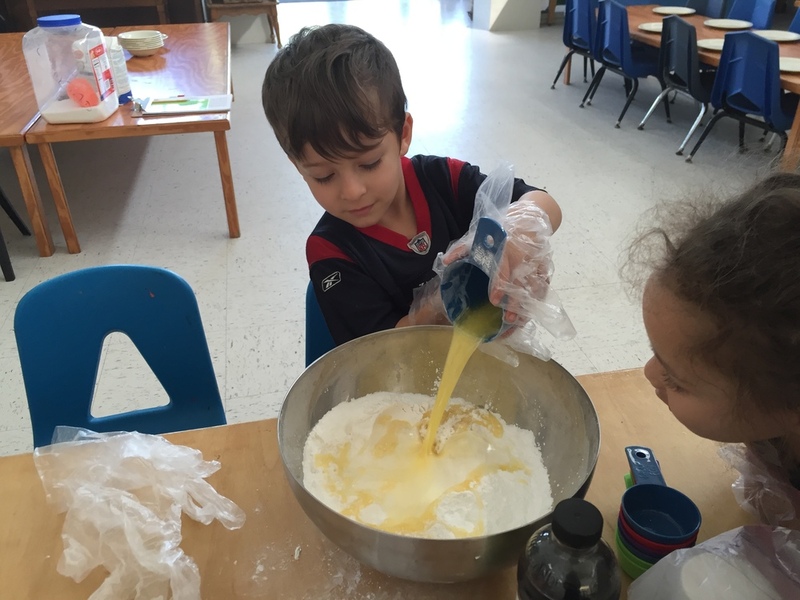 The children’s time of dramatic play (pretend, make-believe, role play etc.) equipped them with many of the skills necessary to complete the task in real life. 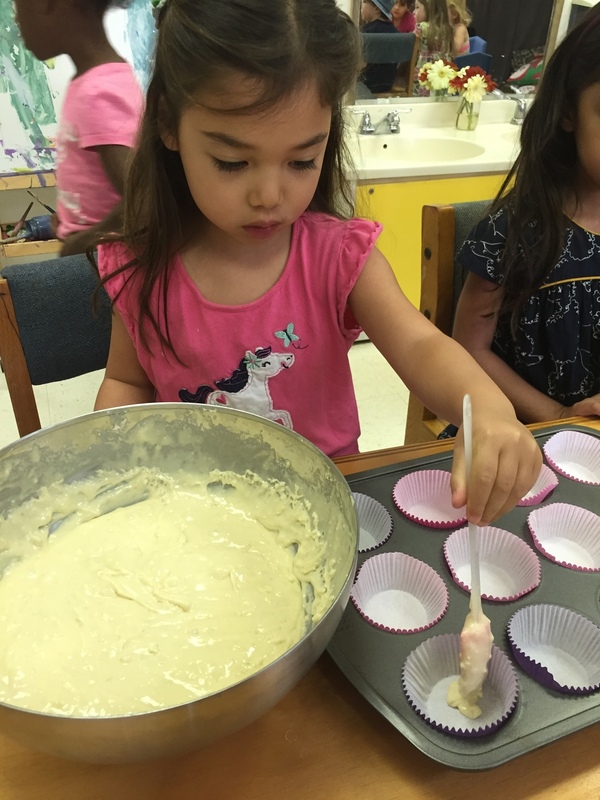 This is one reason why dramatic play is extremely valuable and encouraged. 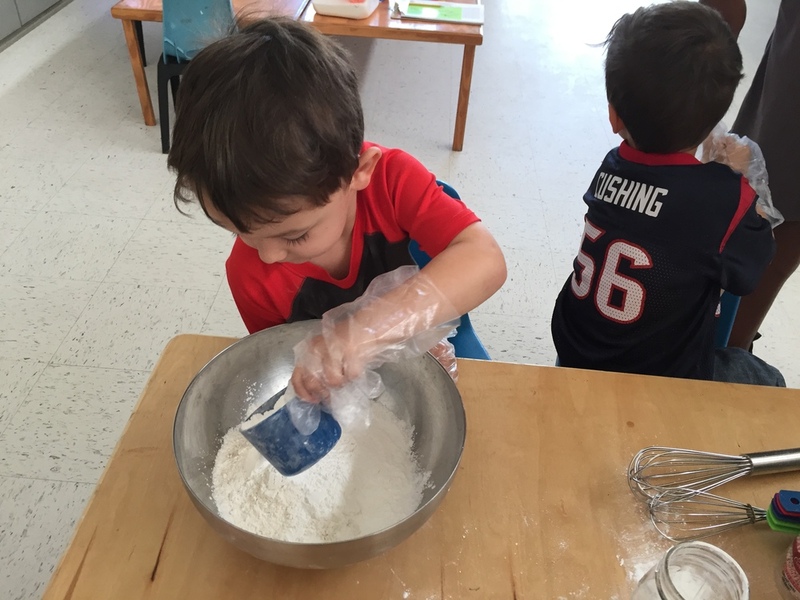 Not only is it a momentary expression of creativity and imagination, but it also gives children good practice for real life experiences.